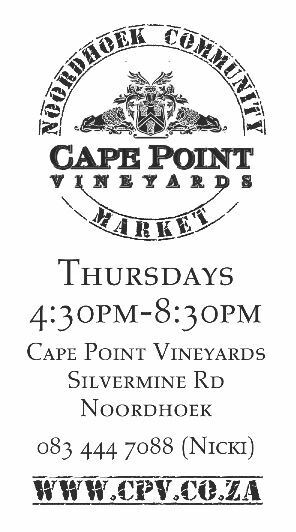 Cape Point Vineyards and several small, local producers have joined forces to once again offer Noordhoek Residents and visitors the opportunity to get together at a Thursday Night Community Market. Join them every Thursday between 4:30pm and 8:30pm. Please note that picnics are not served on Market Days; Dogs as well as outside food and drink are regrettably not allowed on site.